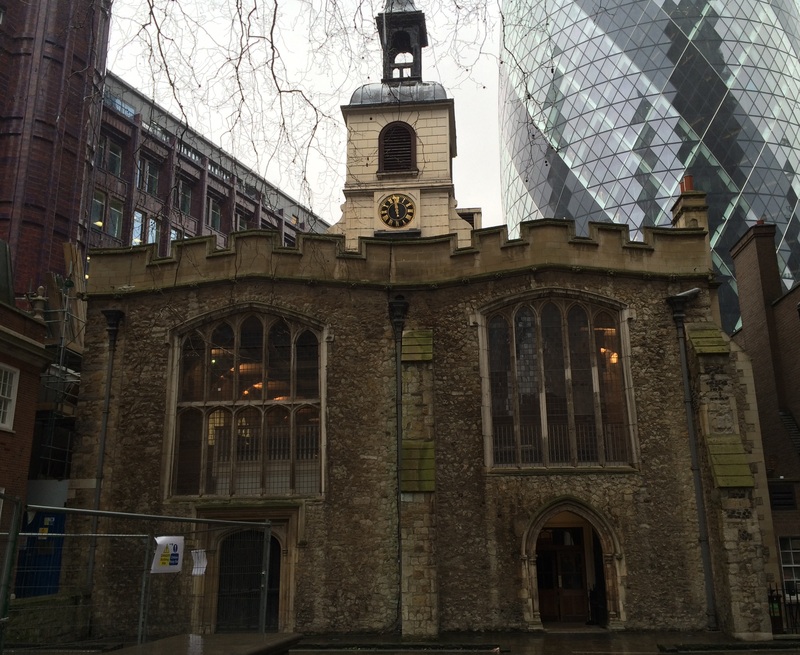 Here is a photo of St Helen's Bishopsgate as it appears in 2015. The two churches continue to rest alongside each other. The building is largely constructed of reigate stone, and the depressed arches of the windows emphasize the building's Gothic style. 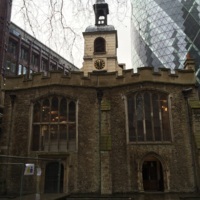 Photo by Sydney Morris, “St Helen's Bishopsgate (as it appears in 2015),” Medieval London, accessed April 22, 2019, http://medievallondon.ace.fordham.edu/items/show/224.